As part of their 60th-anniversary celebration, Busch Gardens is offering two complimentary beer samples every day with park admission. 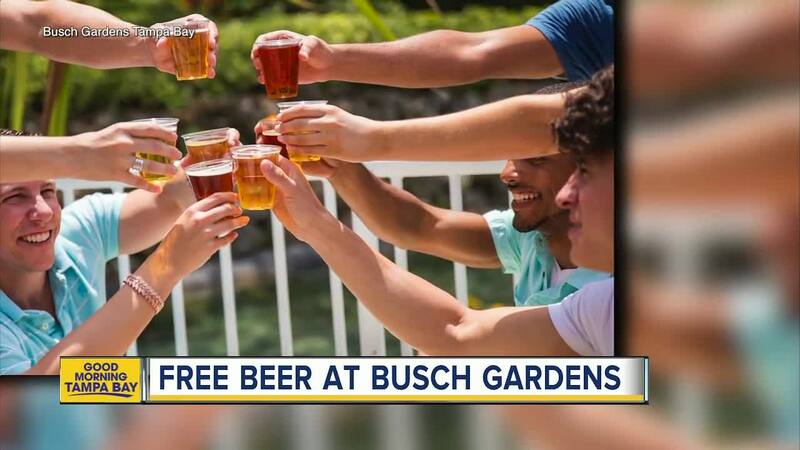 TAMPA, Fla. — Busch Gardens Tampa Bay is giving away FREE beer in 2019! Yes, this is for the entire year! Every day in 2019, guests age 21 and older can enjoy two complimentary beer samples during their park visit. Except during Howl-O-Scream, according to the theme park's website . The free beer is part of the park's 60th anniversary and goes back to their roots as a beer garden when it first opened in 1959. To get the #YearOfBeer samples guests just need to visit the Garden Gate Café or the Serengeti Overlook Pub.